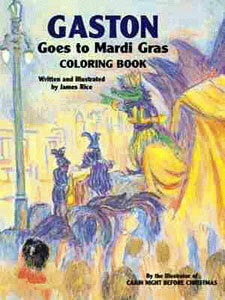 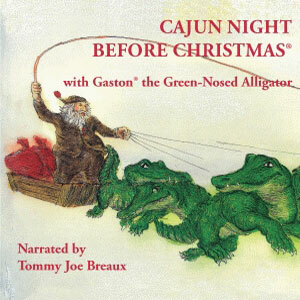 Storyteller Tommy Joe Breaux lends an authentic air to these classic tales. 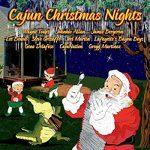 *This CD can be used alone, or with the books, Cajun Night Before Christmas & Gaston the Green-Nosed Alligator. 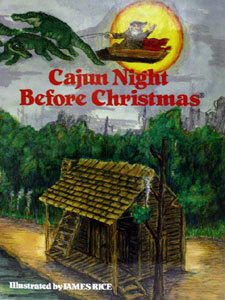 The first narration, Cajun Night Before Christmas, takes the story of jolly St. Nicholas’s annual visit and places it in a Louisiana bayou setting. 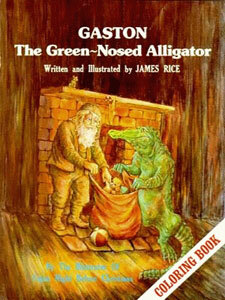 Santa Claus is dressed in muskrat “from his head to his toes,” with his skiff, piled high with toys, hitched to eight friendly alligators. The next story, Gaston the Green-Nosed Alligator, explains the fascinating events that precede Cajun Night Before Christmas. 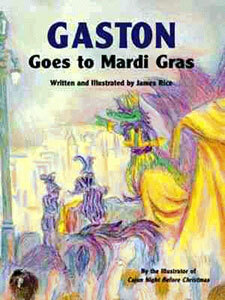 What exactly led Santa Claus to move his workshop from the snowy North Pole to the moss-draped bayou country? 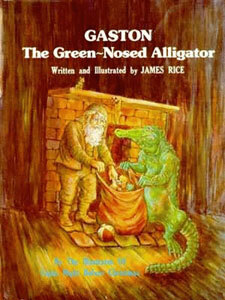 Why were his faithful reindeer replaced by alligators? 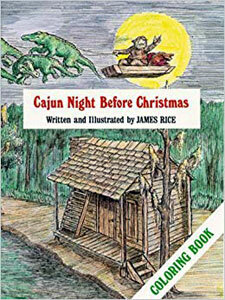 And how did he manage to assemble a team of flying alligators for his all-important Christmas journey?